152 East 118th Street between Lexington and 3rd Avenue. Learn more about this location and the insurances accepted here. 310 East 103rd Street between 1st and 2nd Avenue. Learn more about this location and the insurances accepted here. 517 West 134th street between Amsterdam and Broadway Avenue. Learn more about this location and the insurances accepted here. We’re able to accept many insurances out of network, so please give us a call. 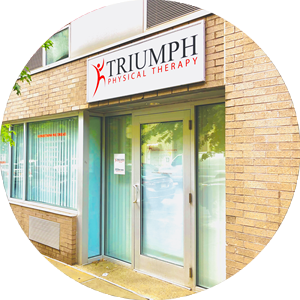 Triumph Physical Therapy prides itself on being a community-based business focusing on delivering outcome-driven care. Our health care approach centers on using the latest scientific evidence to treat persons, not just symptoms. 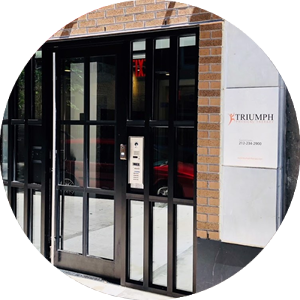 Growing demand demonstrates that the relationships and trust we’ve built with our patients, their referring physicians and other health providers is making a change in the communities we serve. Our team of professionals are dedicated, share our core values, and they are driven to continuously improve their knowledge and skill set and deliver personalized care. 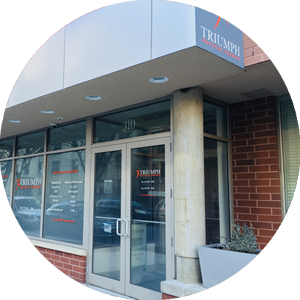 Our physical therapy practices specialize in orthopedic conditions, but we also treat many neurological conditions depending on our assessment of our patients’ needs and our ability to meet those needs. We use various different approaches to evaluate and treat our patients, but at the heart of our practice lies the McKenzie Method. Initially focused exclusively on the spine, this method has recently expanded to include peripheral joints. As such, it has become one of the most validated comprehensive methods of assessment and treatment of the musculoskeletal systems. Ultrasound, Electrical Stimulation, Iontophoresis, Phonophoresis, Laser, Mechanical Traction and Biofeedback to help treat and manage injuries. Compression of hyperirritable spots in skeletal muscle that are associated with palpable nodules in taut bands of muscle fibers. A comprehensive approach, based on a patient's response to repeated movements, for the rehabilitation of the conditions of the spine. A rehabilitative taping technique to reduce swelling, inhibit improper movement and re-train targeted muscles. Pilates based exercises to treat an assortment of conditions. In Pilates, one trains several muscle groups at once in smooth, continuous movements. Hands-on technique applying gentle sustained pressure into the Myofascial connective tissue restrictions to eliminate pain and restore motion. Training and strengthening muscles deep within the abs and back, attaching to the spine or pelvis, where movement originates. Analysis of the holistic, or whole body integrated movement pattern to identify opportunities to address inefficiencies and problems.